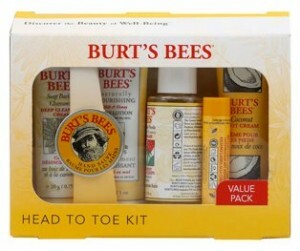 $10 off Vitacost Credit = 6pc Burt's Bees Gift Set only $5.20 Shipped or Use to Get Some Freebies! If you haven't shopped at Vitacost before, now would be a good time to do so because they're giving all new customers a $10 credit! Using your credit, you can score a 6pc Burt's Bees Gift Set for only $0.21 + $4.99 shipping! Of course, you can use your credit on any of their 1,000s of items and get some freebies or use it towards a larger purchase. They have tons of baby supplies, groceries, vitamins, pet products and much, much more! So, click here to create your account and within a few minutes, you'll get a $10 coupon emailed to you!